Exottish is an ongoing personal photographic exploration outside of my regular work. This project deals with themes of exoticism, identity and visual stereotypes faced by non caucasian individuals in Scottish society. The inspiration for this work is the experiences of raising my daughter, who is of mixed race, in Scotland. It is often assumed that my daughter is not Scottish as she does not fit the stereotypical idea of what a Scottish person should look like. She has been on the receiving end of negative stereotyping, ignorance and racism which I as a child growing up in the same town had no experience of. This is a societal problem and I wish to address it through this visual study so that I might raise awareness of the specific issues that non caucasian or mixed caucasian individuals go through growing up in or living in Scotland. By doing this, my aim is to create much needed discussion surrounding race and perhaps a review of what it means to be Scottish. This project remains largely unpublished while I am working on ongoing parts of the series but some works will be available to view below from differing parts of the project. Special thanks to STV, Streetlevel Photoworks, Threads of Sound, East Kilbride Arts Council and South Lanarkshire Leisure and Culture for their support with areas of this project. 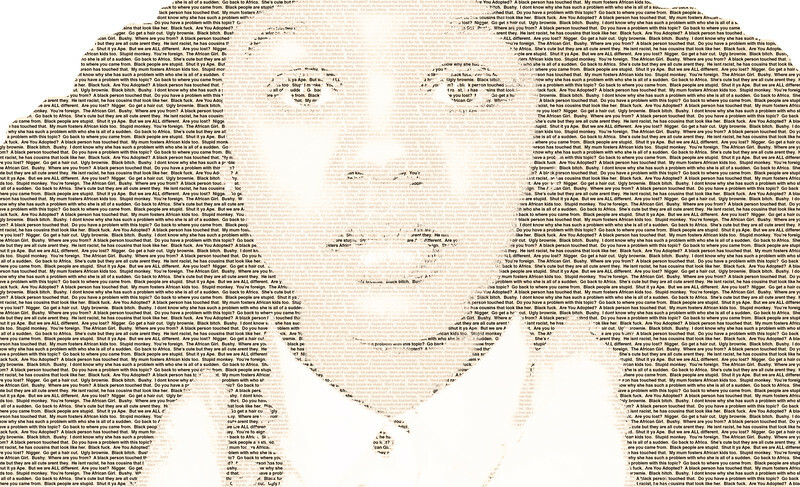 This fragmented portrait of my daughter has been created including offensive words which she has been called, a number of inappropriate questions which have been asked, and comments which have been made about her over the course of her life so far, particularly during her last year of primary school. These words have come from neighbours, classmates, school staff and strangers. My aim was to demonstrate how these words last longer than the fleeting moment it takes to say them, and to question the impact that this might have on my daughters identity. In fact, this portrait had to be changed three times within the space of a week to add new words after a particularly bad week. Since sending to print, there has been further abuse. The 2014/2015 school year was difficult to say the least. Thankfully my daughter has left that school now and moved on to high school. I was told that parents are not punishing their children for being racist towards my daughter in school because they are offended at the suggestion that their children might say such horrible things, and was told at parents night that she hasnt done herself any favours in preventing this abuse. This attitude is what will allow racism to continue in a time when it should be eradicated in our multicultural, multiracial society. 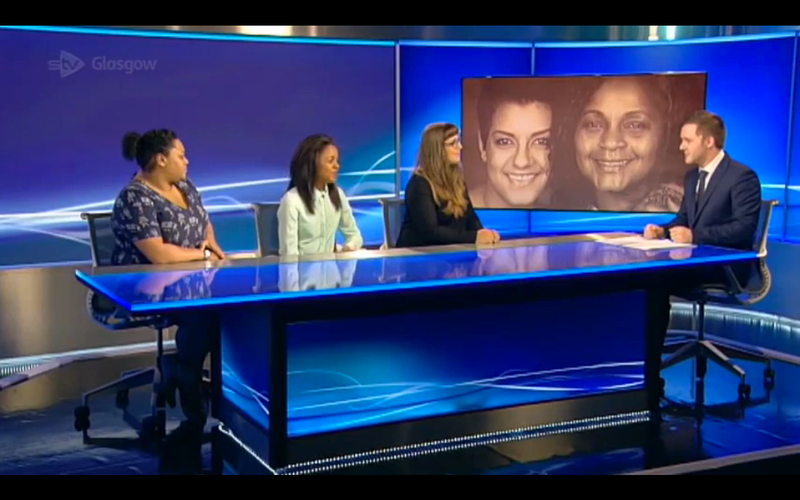 It can not be denied that discussions of race can be seen as a taboo subject. One lecturer during my third year of study in fact tried to deter me from pursuing a project that was centered on race, racism, white bias and multi ethnicity, and instead tried to steer me in the direction of addressing body image. By removing people from this visual exploration, I have been able to display my message through the use of semiotics, while addressing the issue of exoticism of people of colour in the west. My images serve as an update to the doll test from the 1940s, and the latter skin colour test where various children were shown a white doll and a black doll, or drawings of dolls and asked which was the nice/naughty doll, which was the smart/dumb doll etc. The results of that test displayed a clear white skin bias. I wanted to display that some people have a preference, and that preference is programmed from a very young age by parental influence, societal influences and the portrayal of 'the other' in the media and entertainment industry. These are stills from a short film which I created to address how Western ideals are used to judge people, and in this case, Scottish people of colour. Scotland is a country with very strong iconology, and so often when people dont fit the societal norm, they are considered to be, and treated as otherly. Exclusion, judgments and outdated attitudes towards people of colour have no place in a modern Scotland, and to demonstrate this, I created a short film lit by anonymously sourced 35mm kodachrome slides shot in Scotland at various times during the sixties and seventies. The subject of the film is my daughter Lamaya, who moves through these projections to symbolise her own journey as a Scottish girl with an identity often fragmented by both strangers and peers through negative interactions. These portraits look at the complex identity of multiracial individuals, a visually underrepresented group in Scotland. Instead of questioning their ancestry or scrutinising their appearance, I chose to photograph girls and women of mixed heritage and their mothers with an intent to question social perception. These images display their relationships, linking these girls and their mothers together while at the same time respecting their disparity. 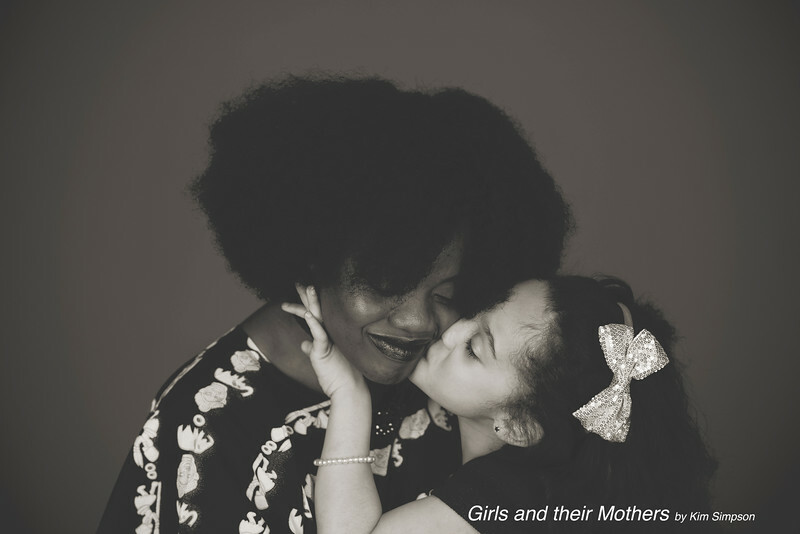 Sixteen families have taken part in girls and their mothers, and there are a complete collection of 48 images. 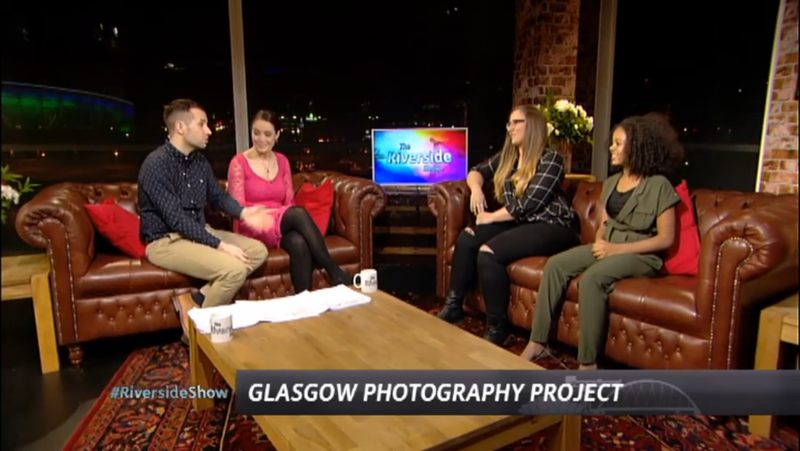 These images are being exhibited across the Greater Glasgow area with thanks to initial exposure from STV, and much valued support from Streetlevel Photoworks, East Kilbride Arts Council, South Lanarkshire Leisure and Culture and Threads of Sound. "There's Glass Between Us" is a collection of ten portraits which aim to explore the invisible but ever present barrier that people of colour face in Western society. 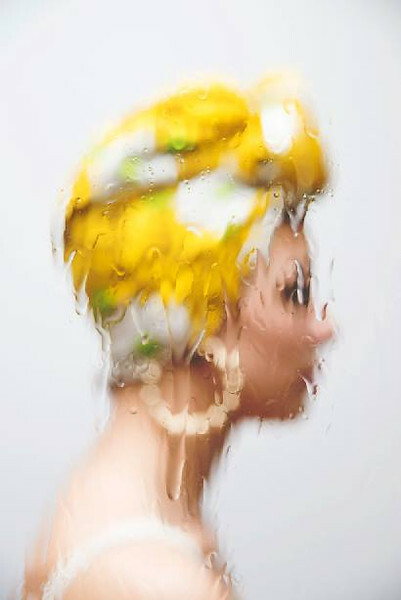 These symbolic portraits have been shot through wet glass to produce a clouded and distorted painterly effect. By creating an interior and exterior with the glass, I have exposed the act of othering which often leads to acts of discrimination and inequality in many aspects of our society. The effects thereof are plain to see for those whose appearance might not fit the expected Visual Norm. My aim, as ever, is to begin conversations about race, and to cause the viewer to look within at their beliefs and bias; to address that stereotyping alters experiences and the ability to see someone for who they are instead of their perceived origin, ethnicity or religion. This series has been inspired by the ongoing experiences of raising my daughter, who is of mixed race, in a Scottish town. Scotland is a country with very strong iconology which seems to influence the idea of what being Scottish means. To be accepted and to be considered Scottish are two very different concepts for Scottish people of colour.